Both political major political parties nominated candidates who are unfit to be president, along with opposing many of the principles which supporters of each party had claimed to have supported. While many Democrats expressed objection to Clinton in the primaries, most appear to be falling in line, willing to ignore the fact that their nominee supports much of the agenda of George W. Bush which they had recently opposed. More Republicans are willing to stick up for principles in opposition to Donald Trump. Some, especially neoconservatives, are backing Clinton who, after all, is one of them. 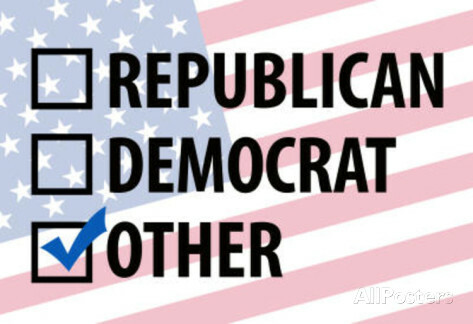 A growing number are showing a willingness to actually challenge the duopoly and back Gary Johnson. The Week also reported that Gary Johnson has received the endorsements of the New Hampshire Union Leader, the Richmond Times-Dispatch, the Winston-Salem Journal, and The Caledonian-Record along with an additional one today. While he received some endorsements in the primaries, they note that no newspapers have endorsed Trump for the general election. The same principle applies to those of us who plan to vote for Jill Stein as opposed to Trump or Clinton. Voting for a major party candidate this year means either an unacceptable choice such as Trump or returning to the horrors of the Bush years. While some newspapers find that an acceptable alternative, I do not. Fifteen years after the 9/11 attack we are in a state of never-ending war, with growth of the surveillance state and lack of respect for civil liberties and privacy. Hillary Clinton would institutionalize the horrors of the Bush years, probably with the support of many Democrats who show a lack of concern for liberal principles, leaving few of us to protest. It is totally unpredictable as to what Donald Trump would do, but it seems as foolhardy to trust him with the powers of the presidency as it would be to trust Clinton based on her record. This leaves voting for a third party as the only ethical choice. Both Gary Johnson and Jill Stein are preferable to Trump and Clinton regarding the warfare/surveillance state, with Stein being preferable to those on the left when comparisons are made on additional issues. Posted in Civil Liberties, Donald Trump, Foreign Policy & National Security, Gary Johnson, Hillary Clinton, Jill Stein, Op-eds, Politics, Scandals. Tags: Civil Liberties, Donald Trump, Gary Johnson, Hillary Clinton, Iraq, Jill Stein, Libya, Politics, Scandals, Syria. RSS feed for comments on this post.. TrackBack URL.